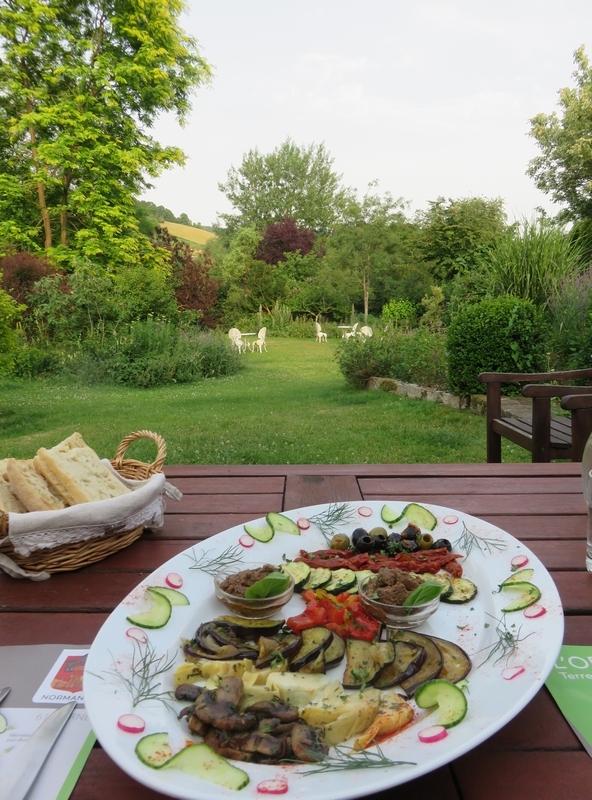 Restaurant review #140 – La Maison du Vert is a vegetarian bed and breakfast in Normandy, France. 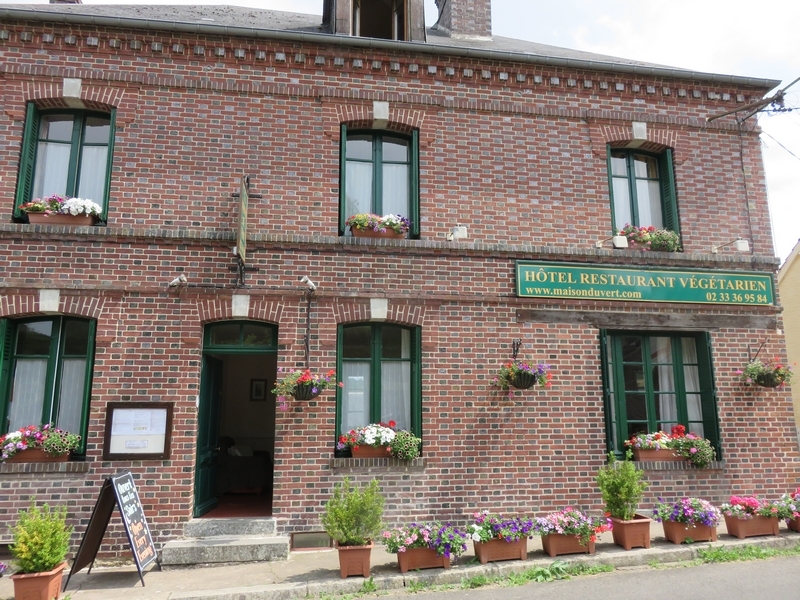 In the evening, La Maison du Vert also opens as a restaurant to outside guests, so it could also be considered a hotel (although there are only 3 rooms for overnight stay). 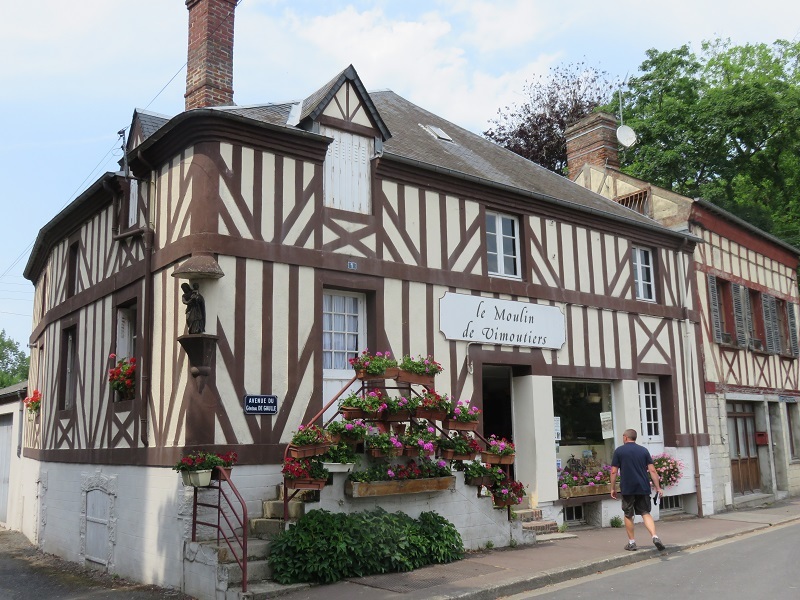 We spent a couple of days here at the beginning of Summer, after a short stay in Paris (La Maison du Vert is about a 2 and a half hour drive from Paris). 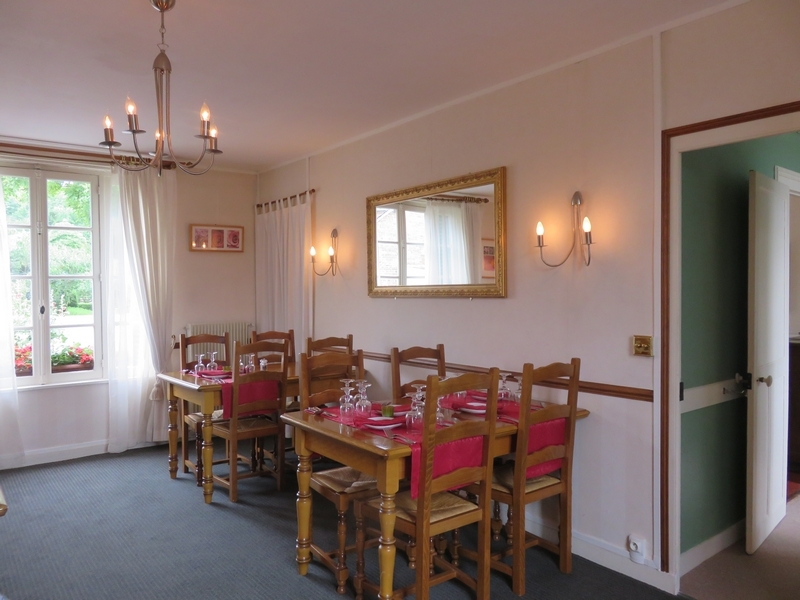 We had made our reservation many months before going to Normandy, to be sure to have a room at La Maison du Vert. 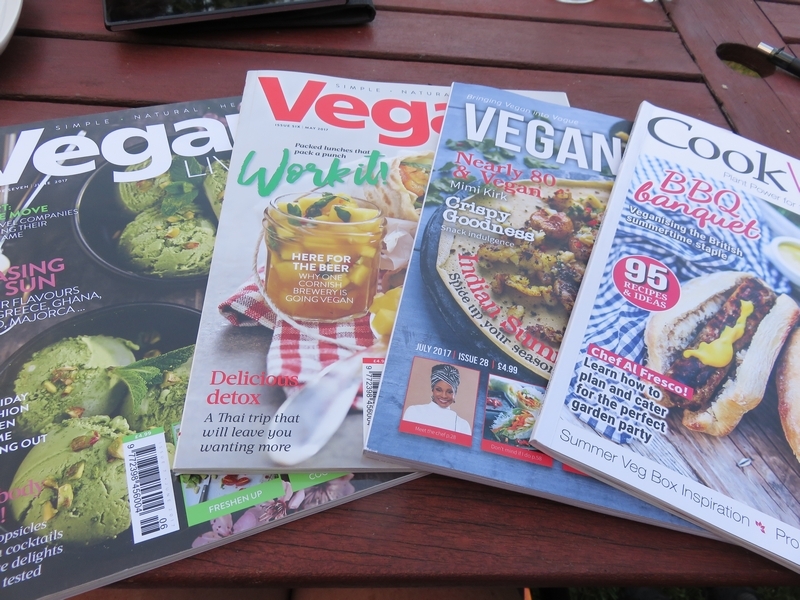 Vegan options are really scarce in Normandy, so it was comforting to know that we did not have to worry about breakfast or vegan dinner during our holiday. 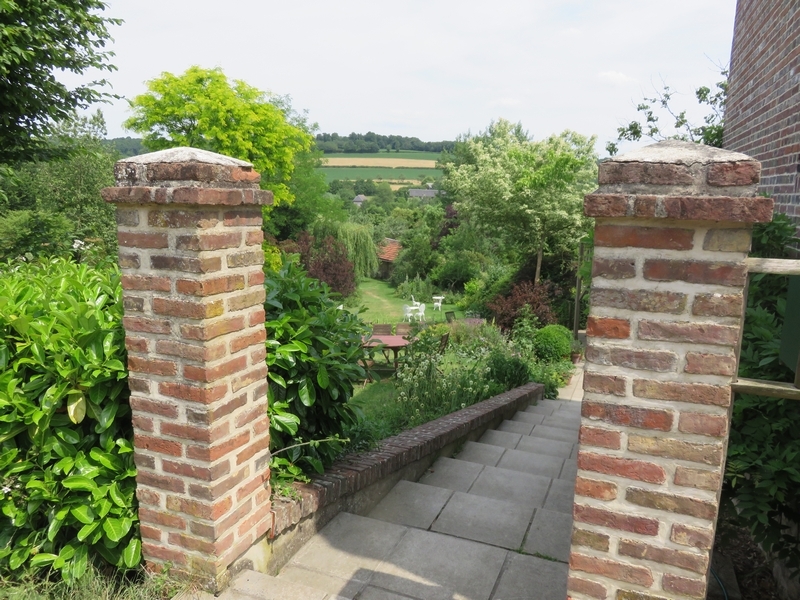 We were warmly welcomed by the hosts, Debbie and Daniel, a British couple who settled here 20 years ago and renovated what became la Maison du Vert and shaped the garden. After settling in in the room, we relaxed in the lovely and spacious garden, and had some drinks. And got to meet some of the many cats! 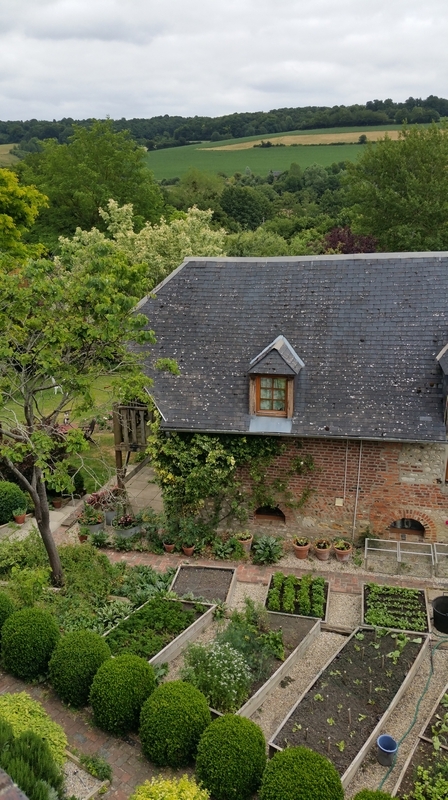 La Maison du Vert is in Ticheville, a small village land inwards in Normandy. 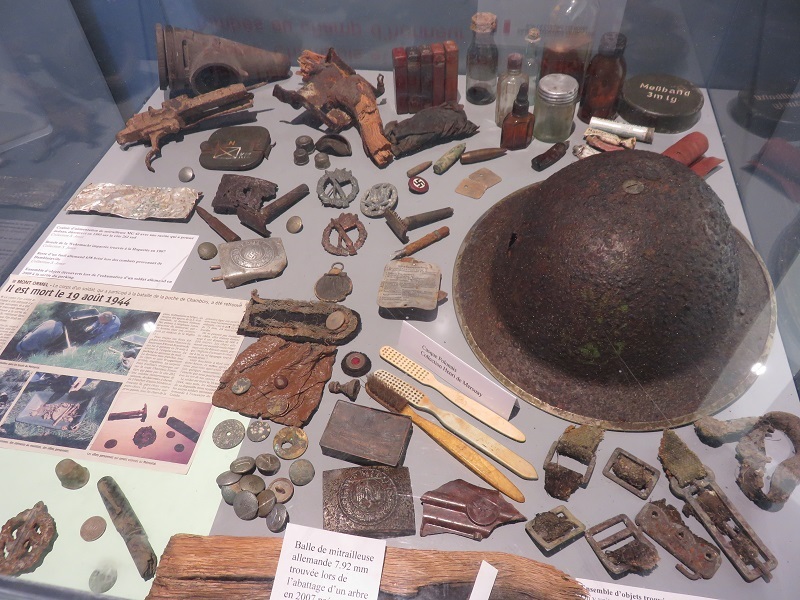 It is near Vimoutiers and 30 km south of Lisieux (see our blog about organic shop Biodésir) and about a hour and a half drive from the D-Day landing beaches of Normandy. 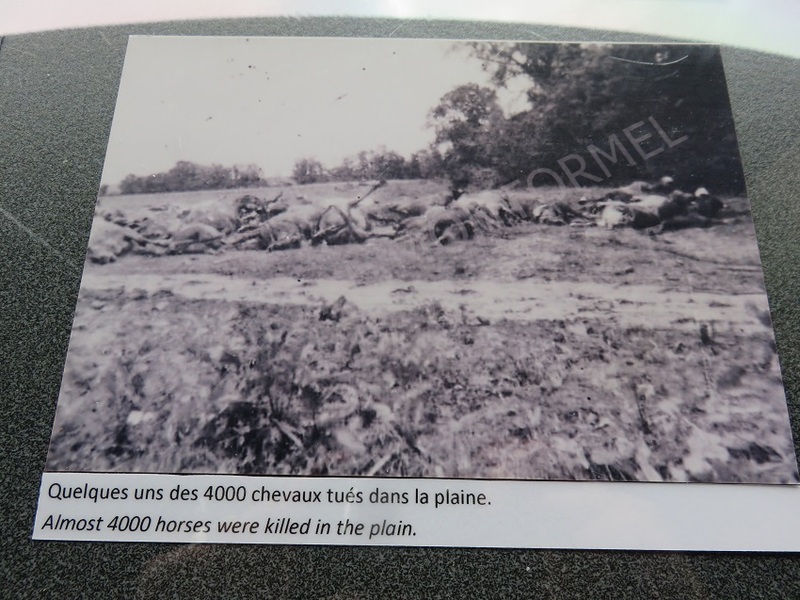 The Memorial of Montormel is only 15km away (see pics below). Plenty of brochures, touristic guides and maps available at the hotel to figure out where to go to and what to visit in the area. 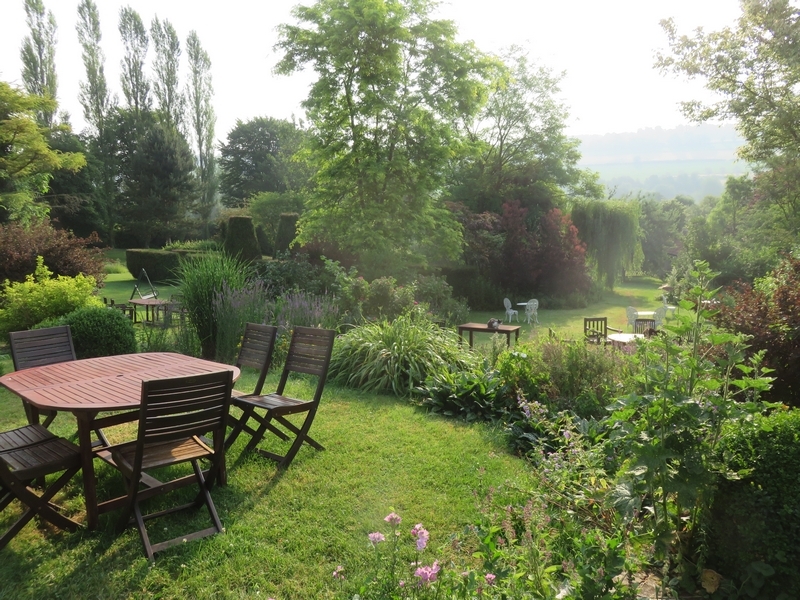 The garden and the back windows of the rooms, offer a lovely view on the sloping landscape. Sloping also means that it is hard to find a table and chairs in the garden that are level, but we were free to move the tables and chairs around to sit wherever we wanted. 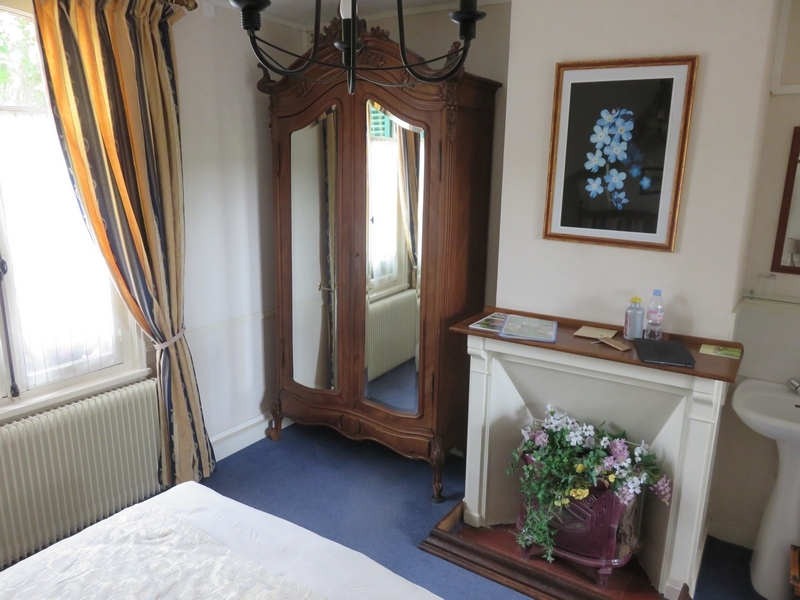 We booked the family room, with had a double and single bed, and a bathroom with shower, bath and toilet (110€ with breakfast for two included). The room was pretty basic, but comfortable enough and clean. There was no TV (which we didn’t miss, we were dead tired in the evening! ), and no airco (although we’re no fan of airco, it was exceptionally hot during those days, more than 35°, and as such it was also blooming hot in the room). What we did miss were some more wall sockets. We only found a total of 3, of which 2 were used for lights besides the bed, so it was a bit of a puzzle to get our camera, mobile phones and tablet charged. 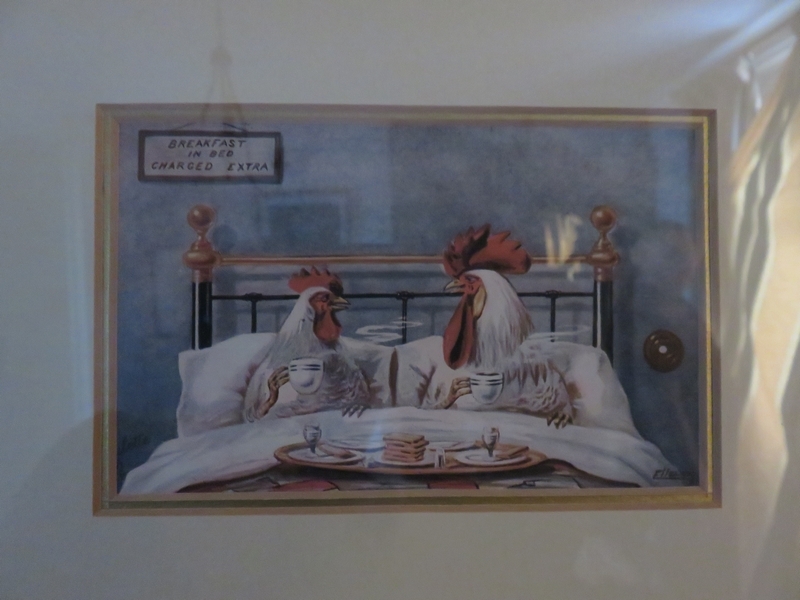 Breakfast was served in the restaurant room downstairs. 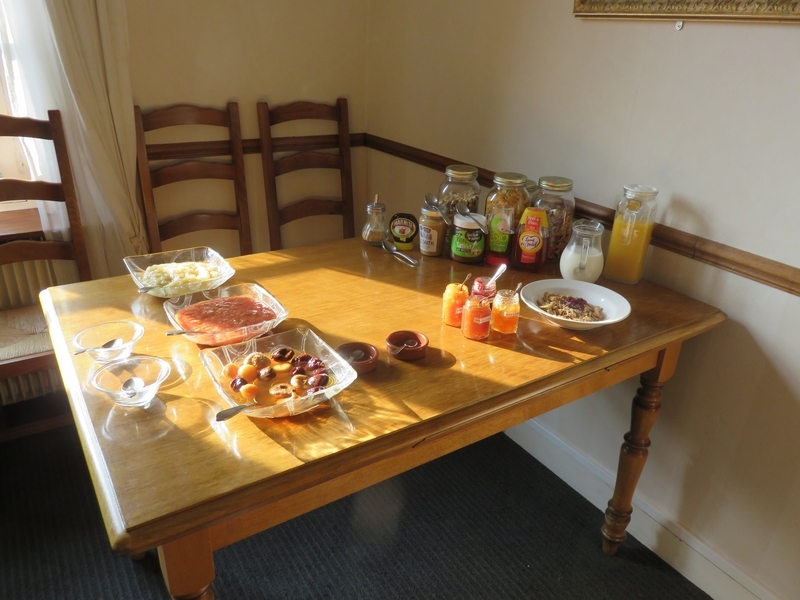 With a selection of cereals, homemade jams, appelsauce, rhubarb sauce, plums, figs and bread, and the possibility to have a smoothie or pancakes. And coffee or tea, and fruit juice. Simple but good. There was not hot breakfast, and although we would not have it every morning, an optional vegan English breakfast would have been nice. 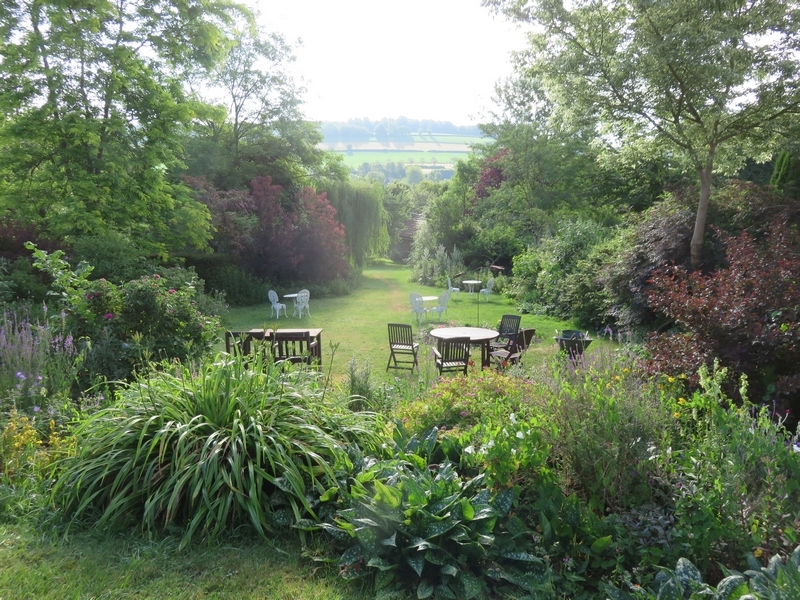 Dinner is a la carte and is served in the restaurant room, or when the weather permits it, in the garden. 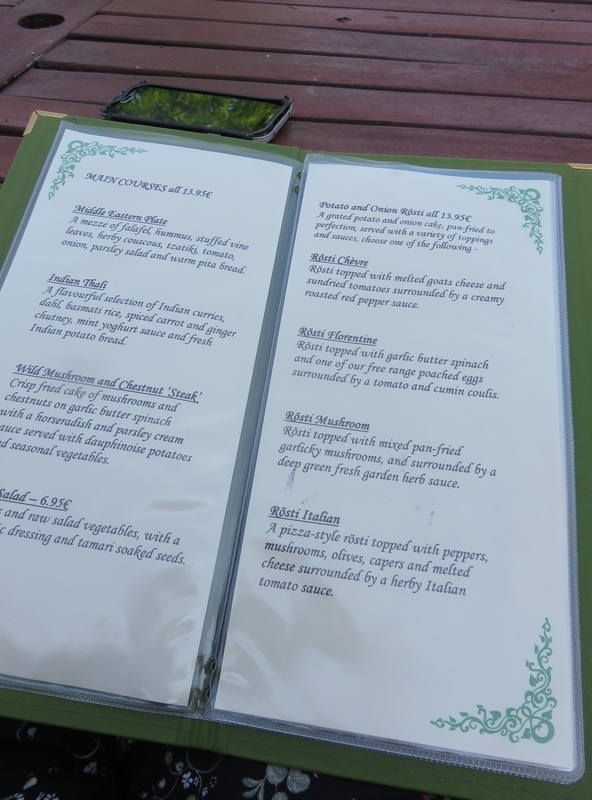 Having dined here a couple of evenings in a row, we had the opportunity to taste all the vegan dishes on the menu! 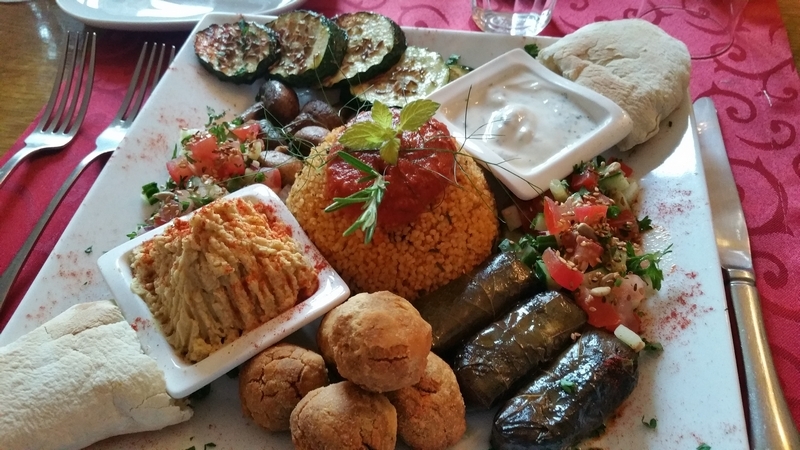 Starters were all 8,65€ and main courses 13,95€, which was very fair value for money! Most dishes are rather harty fare, like rostis, curry, and dishes with potatoes and plenty sauce. Also with a lot of homegrown vegetables! During one dinner there was a mix up with the butter bowls served with the bread, which turned out to be dairy butter (we now know that we can immediately taste the difference! ), which they extensively apologised for. Desserts include homemade preserves, like apples. Nice! We also asked for lunch one day to take away with us on a day trip, which was no problem. 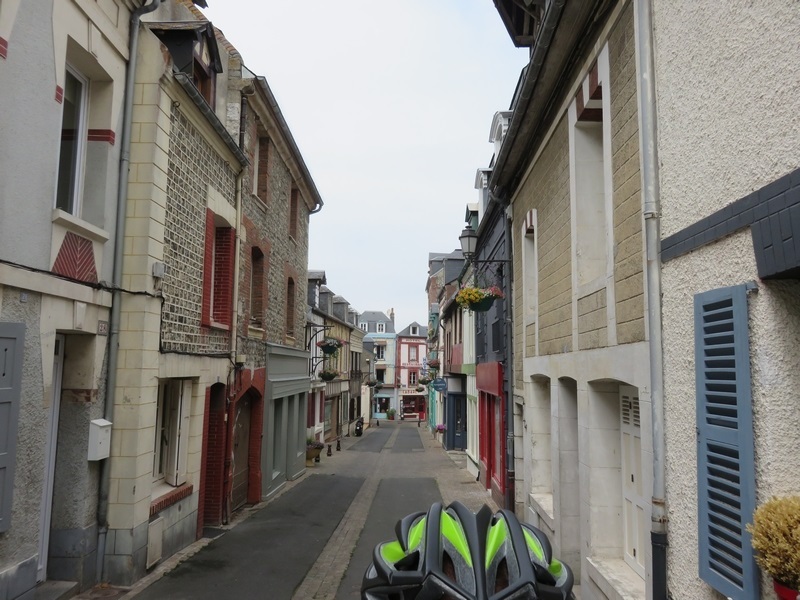 Although la Maison du Vert is located at a crossroad where two D-roads intersect (connecting smaller villages), it was very quiet. 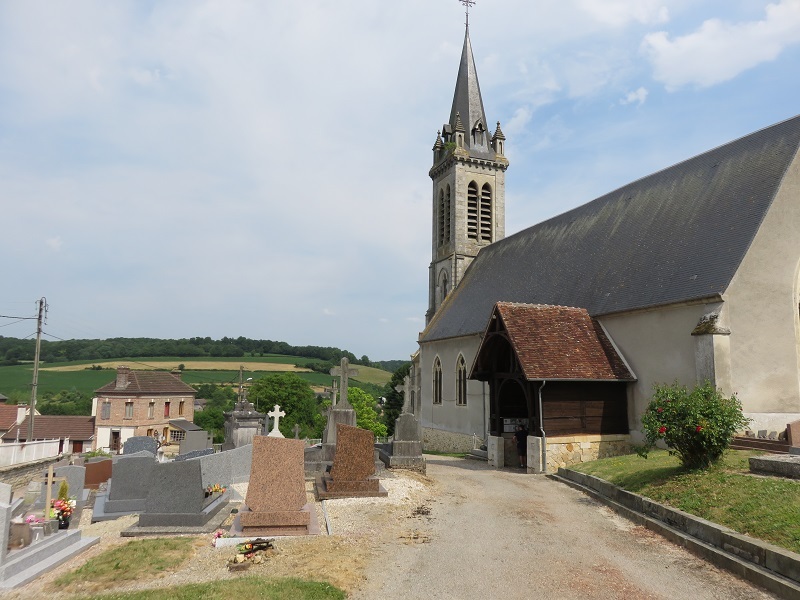 The only ‘noise’ came from the nearby church bells ringing at 7 AM 😀 The restaurant can be fairly busy though and one evening there was a larger group of locals dining there that kept chatting after dinner, which we could hear in our room. Luckily, they left before midnight! Staff was always very friendly. There are a lot of interns at La Maison du Vert (staying in the building at the back of the hotel) and we got to see many different faces, which was sometimes a bit confusing. 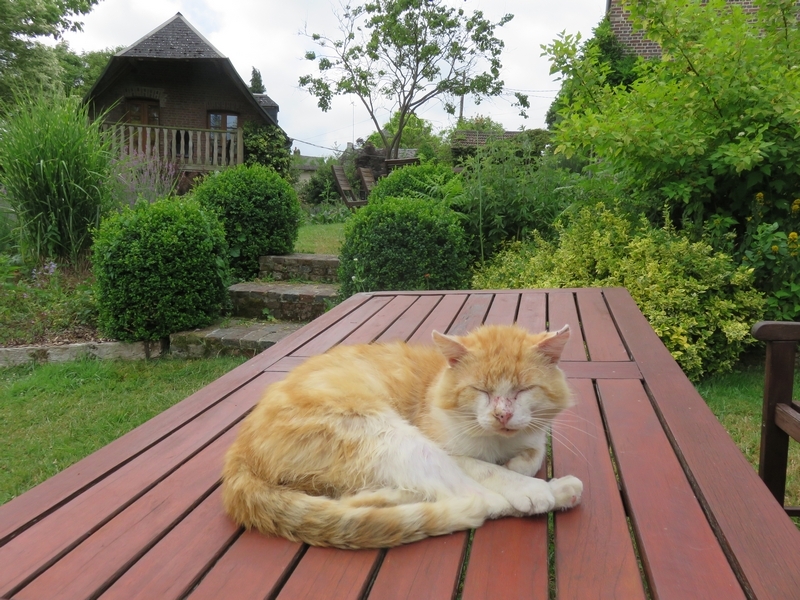 What will surely stick with us from our visit to La Maison du Vert are the lovely cats! From the moment you step into the garden, you are immediately greeted by one or more cats coming up for a hug (all adopted ones). 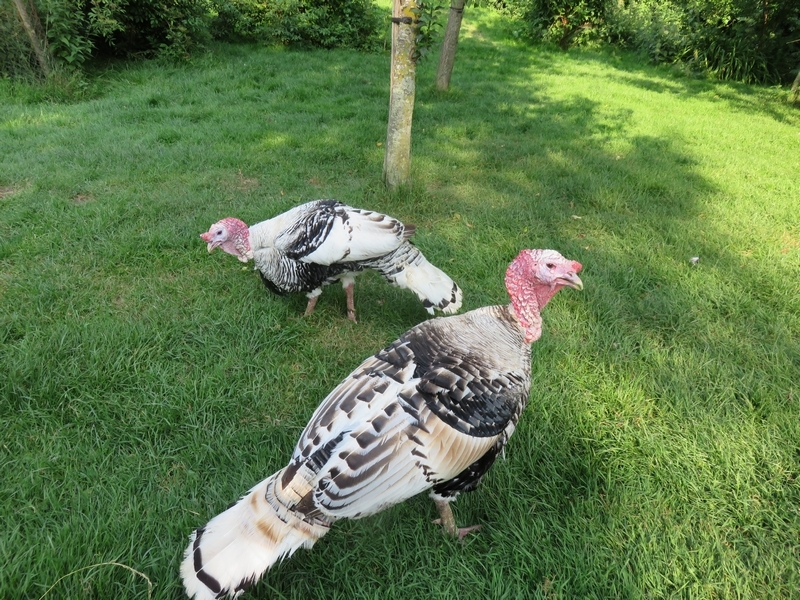 We loved them (although it did make us miss our babies at home)! One of the highlights of our stay happened at night. 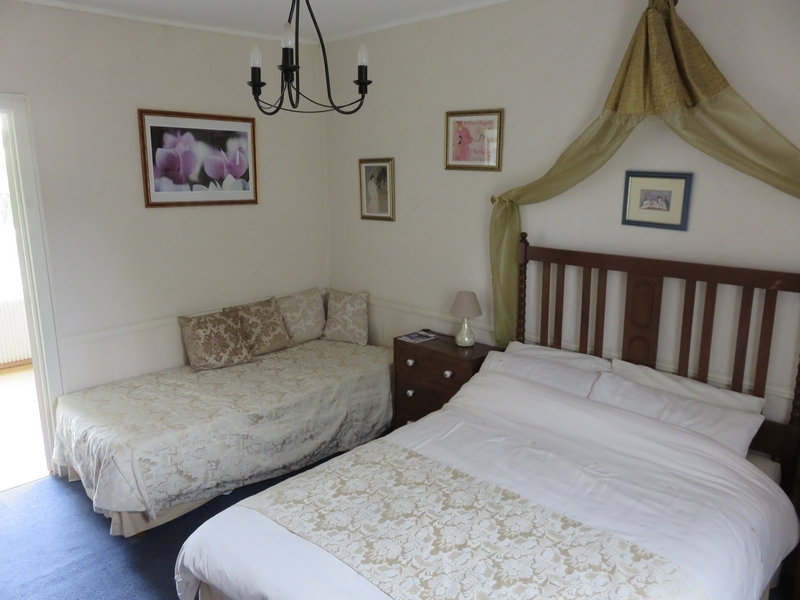 As it was so hot, we slept with the windows open (although it hardly made a difference for the temperature, as there was not a breeze of wind!). During our first night, we heard an owl. It seemed like the scene from a movie: pitch dark and a periodic wo-woho-whoo. Loved it! 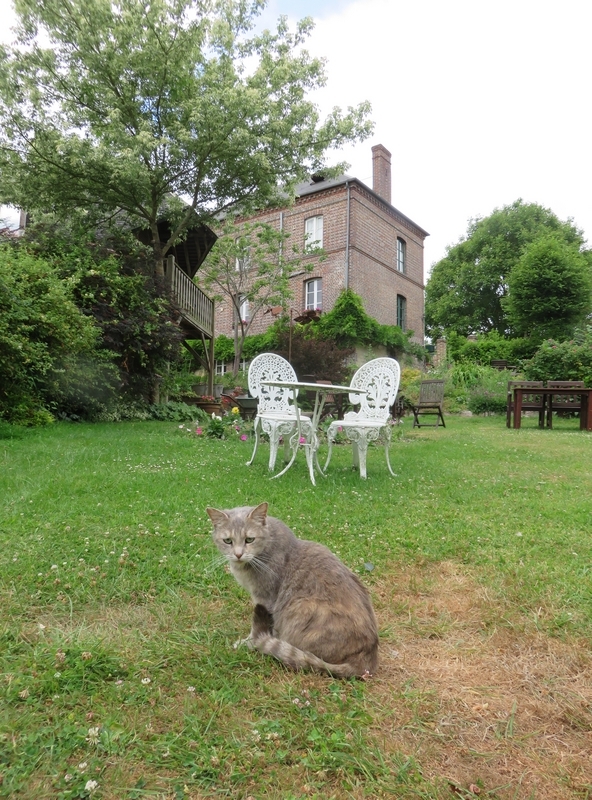 We had a very nice holiday at la Maison du Vert. Definitely recommened for a trip to Normandy! Vimoutiers, 6km from La Maison du Vert, France. 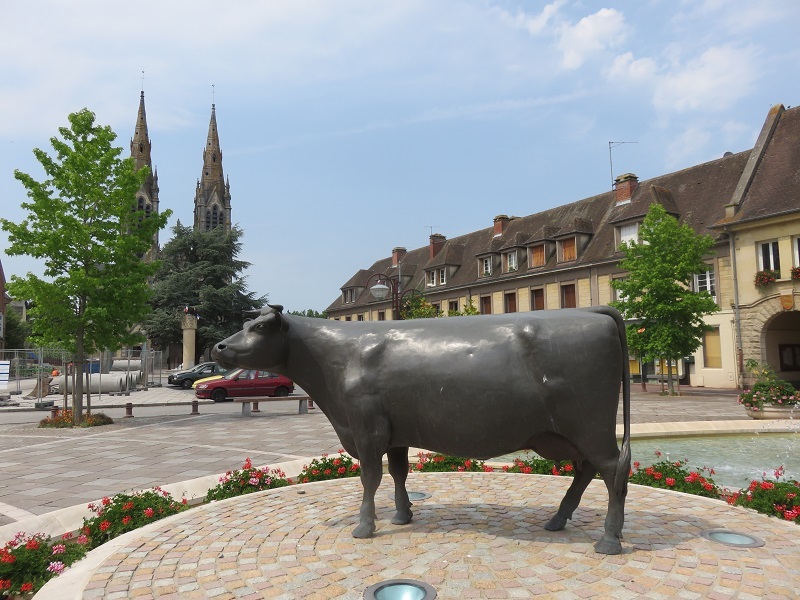 Region of camembert (cheese), hence the cow statue. Great post! This place looks wonderful. 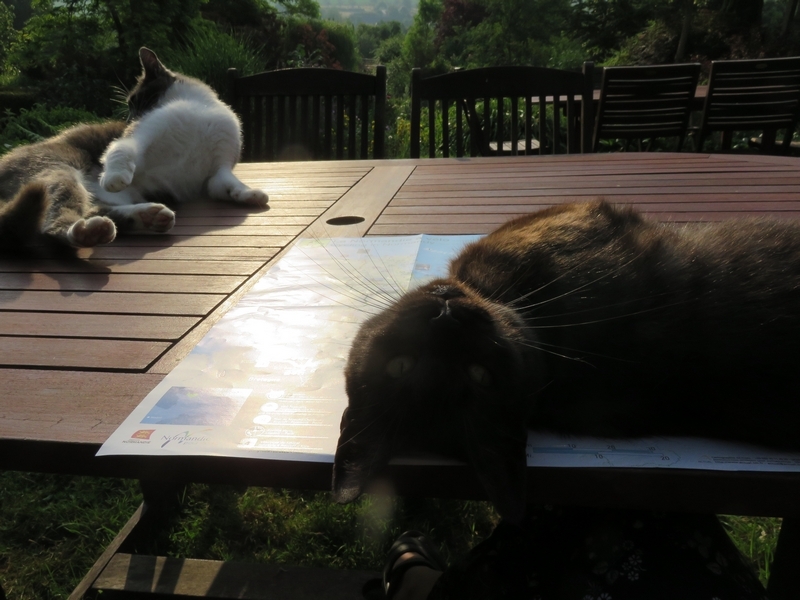 And the cats….. so cute! I love this place, thanks for sharing, I’ve pinned it to remind me when I go back to France. Love the view from your room and all the food, it looks amazing!!!! 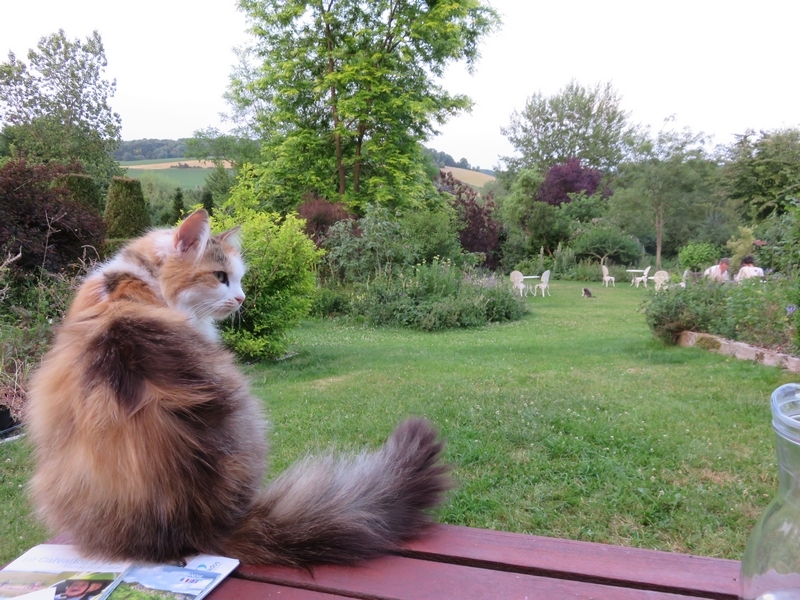 and the cats and the garden….. I want to go! !